Again, these were his remarks at the National Effing Prayer Breakfast. A ceremony which, tragically, went uninterrupted by lightning bolts. Speaking of appalling religious bigotry and terroristic threats, pro-Palestinian student activists jeered Jewish students at the University of California, Davis and shouted "Allahu Akbar!" at a meeting where the University voted to divest itself of any investments related to Israel. And just in case their message was too subtle, the anti-Israel mob also painted swastikas on a Jewish fraternity house. We'd say that Lucy has a conundrum, only she'd think we were referring to a taxpayer-funded latex birth control device. 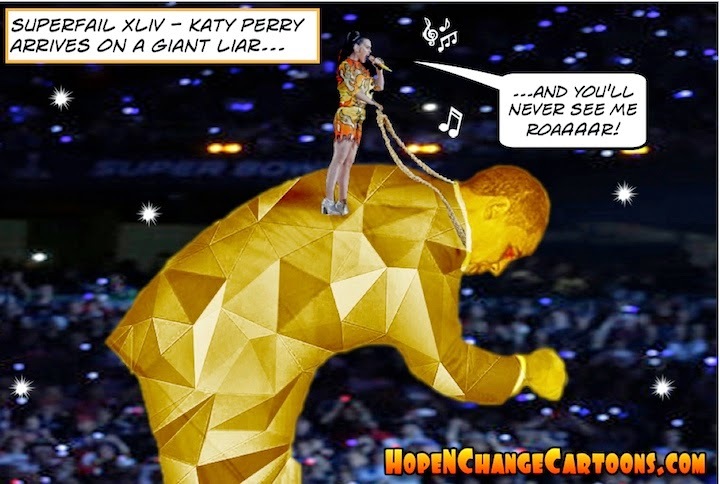 Don't even try to look for subtle meaning in today's cartoon; when Hope n' Change saw Katy Perry's Superbowl halftime show, it struck us as a preposterously-expensive exercise in bizarre, meaningless imagery which nobody over 30 (or not on drugs) could relate to. 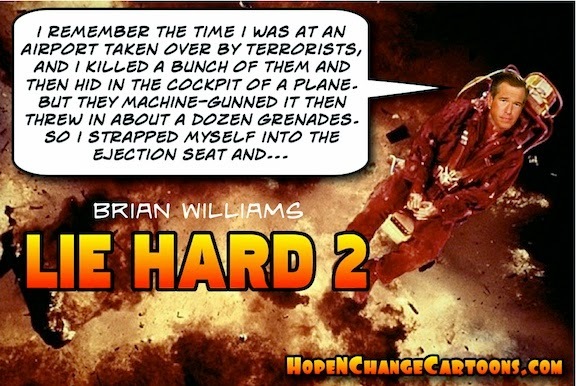 In other words, it pretty much seemed exactly like the past six years of the Obama administration. Especially following the release of the president's preposterous new "budget" which features $2 trillion in new tax hikes on the "evil rich." Which, now that we think of it, would include pretty much every player and musical performer at the Superbowl. It's about time those overpaid, rabble-hating, right-wing scoundrels started paying their fair share - right?! 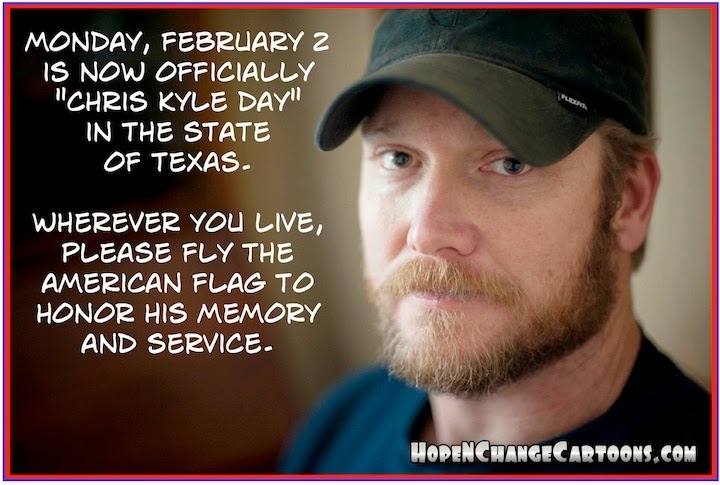 There's never a lack of reasons to be proud of Texas (where Hope n' Change is based), but Governor Greg Abbott has given us yet another one: the declaration of February 2nd as "Chris Kyle Day," in honor of the late Navy Seal who served four tours of duty in Iraq - much to the everlasting regret of anyone on the wrong end of his sniper's scope. Please take time today to reflect on the daily sacrifices made by all of our service members and their families, and to be grateful for - and strive to be worthy of - the gifts they have given us.